The Ashland Autospout Bottle from Contigo is perfect for those on the go. 100% BPA-Free and with a convenient carry clip at the handle you can attach it to your gear and take it anywhere. The Autospout lid features a press-to-release button to release the drinking spout so you can shlurp happily. The button lock helps to ensure the Autospout button doesn't get pressed accidentally and the spout shield covers and protects the spout from dust and debris when it is retracted. 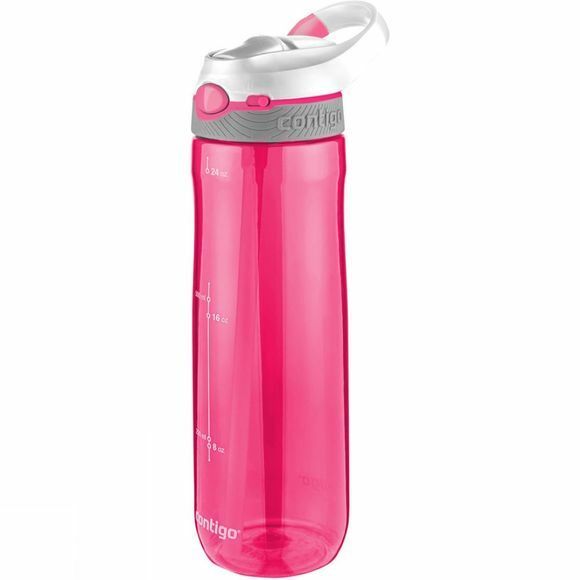 This is a great leak-proof bottle that is a perfect addition to your daily routine.